FrePPLe provides a state of the art REST API (see https://en.wikipedia.org/wiki/Representational_state_transfer) for data exchange with other enterprise applications. When you access Help in the navigation Menu, you will find a API Help entry. This page allows you to test and experiment with the API from your browser. 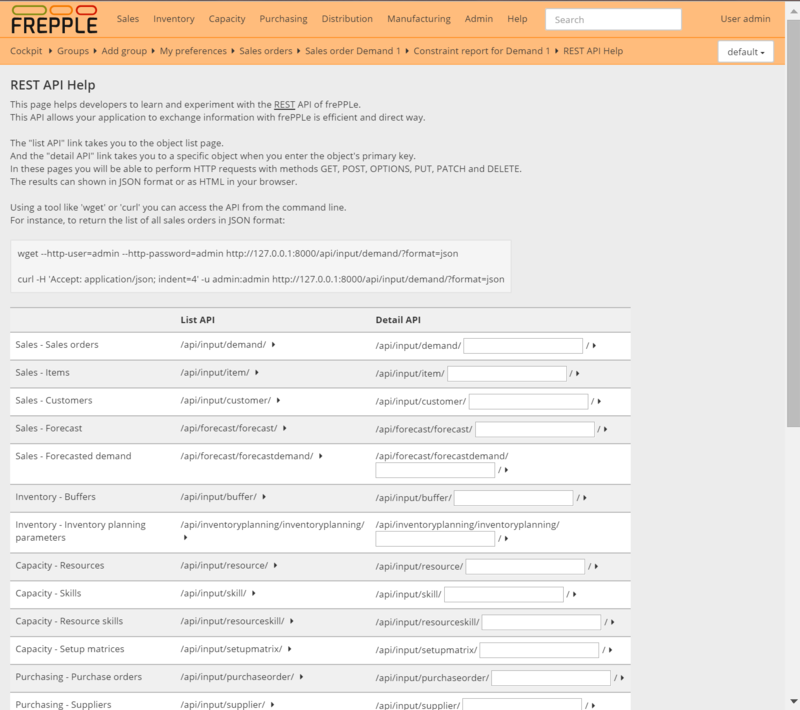 It shows all URLs and HTTP methods supported by the API.